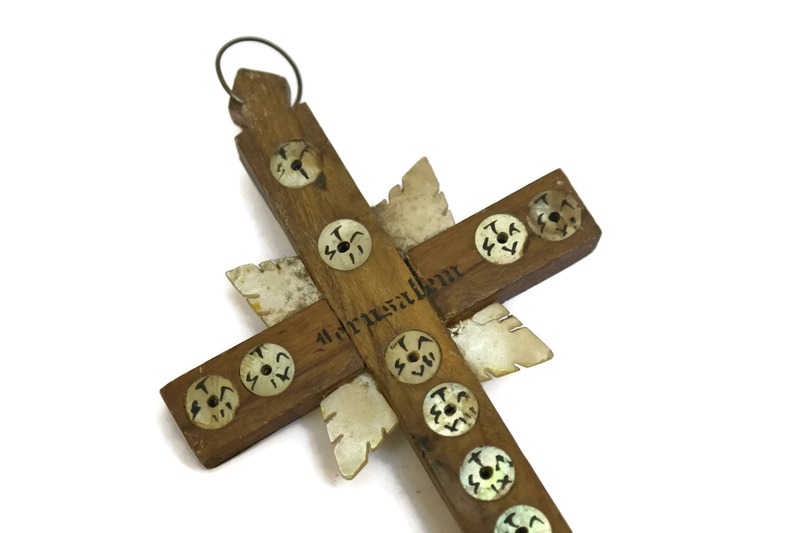 Antique Wood and Mother of Pearl Crucifix with Stations of The Cross. 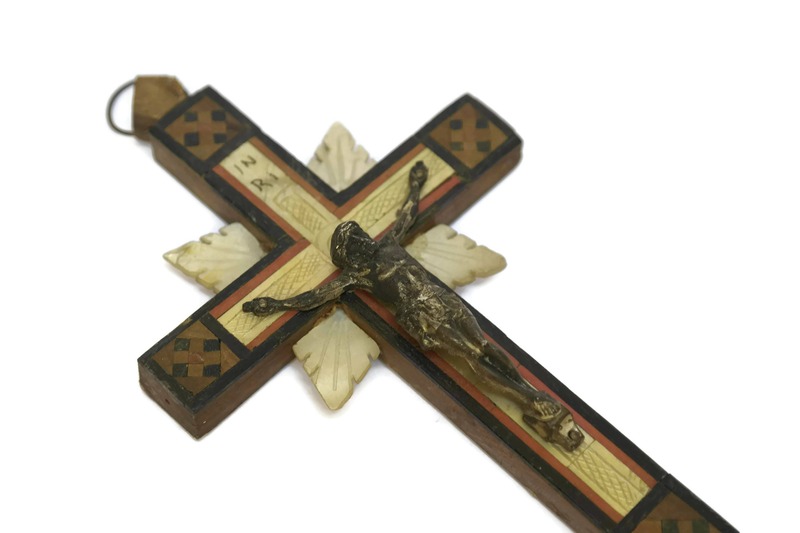 A beautiful antique wooden crucifix hand crafted in Jerusalem in the early 1900s. 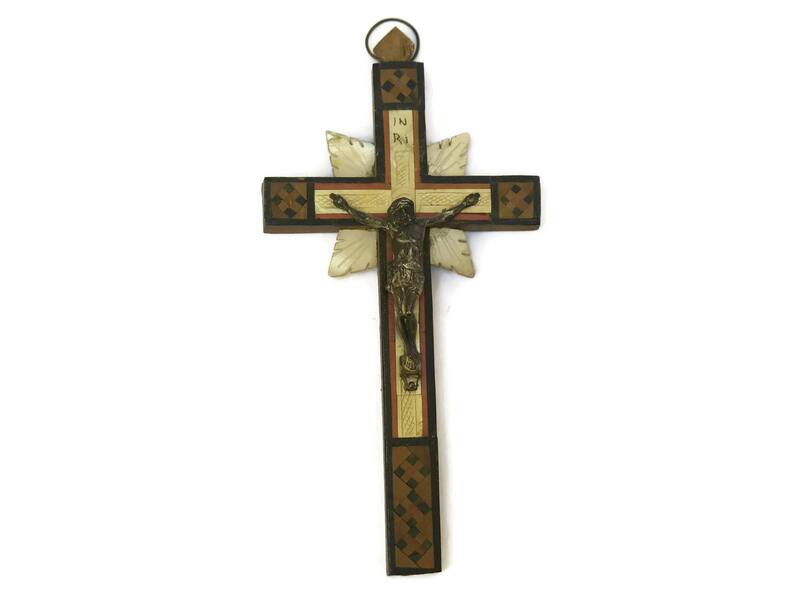 It features an olive wood cross that has been ornately decorated with wood and mother of pearl inlays. The front has a figure of Christ that has been cast from silver-tone metal. 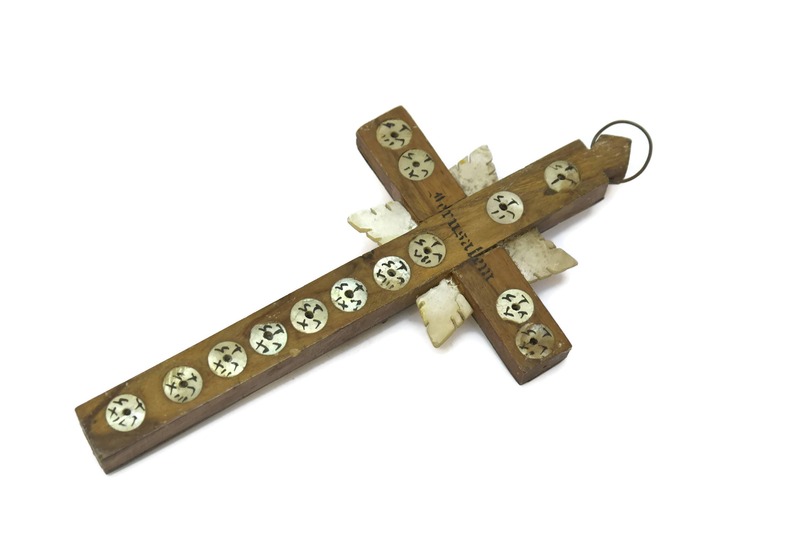 There are 14 small mother of pearl discs that have been inlaid into the back of the cross and they have been numbered to represent the stations of the cross. The antique crucifix has a small metal hanging ring and has been hand painted with the name of Jerusalem in the Holy Land. 6 1/2" Tall x 3" Wide (16.5cm x 8cm). 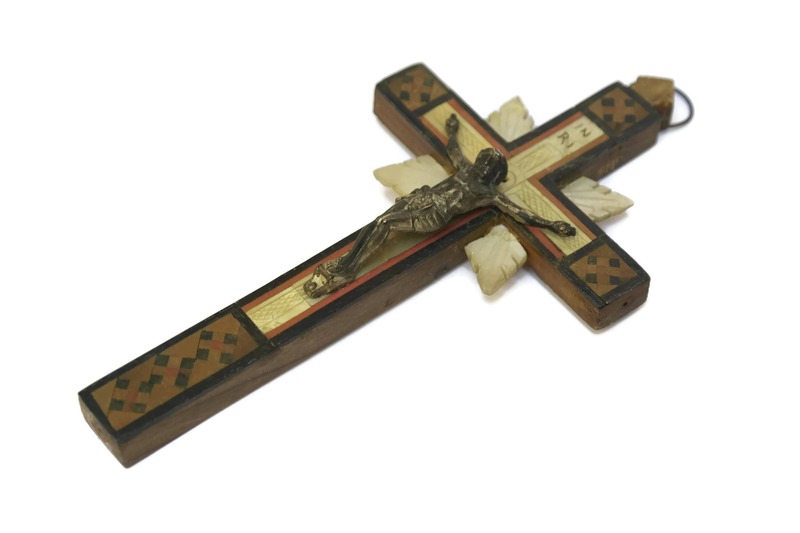 The antique crucifix is in very good condition with light wear.